The will they, won't they battle is at an end (or at least this chapter of it) and the injectors have now been fitted to the car! 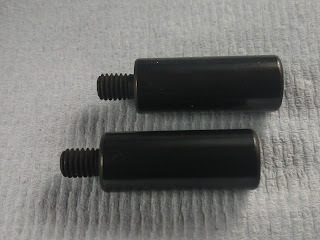 This was done still by fitting larger adaptors to the 11 mm injectors, however this time the difference is that the adaptors were made from rubber rather than a machined part. It is easy to be wise after the event but it turns out that tolerances are more like guide lines when it comes to this kind of thing. The fuel rail diameters are undersized for a tight fit, as were the adaptors for that matter (just not enough). The last little fight the fuel rail put up was that the spacers were around 4mm too long and needed to be modified, but now the the injectors sit nice and tight as they should. 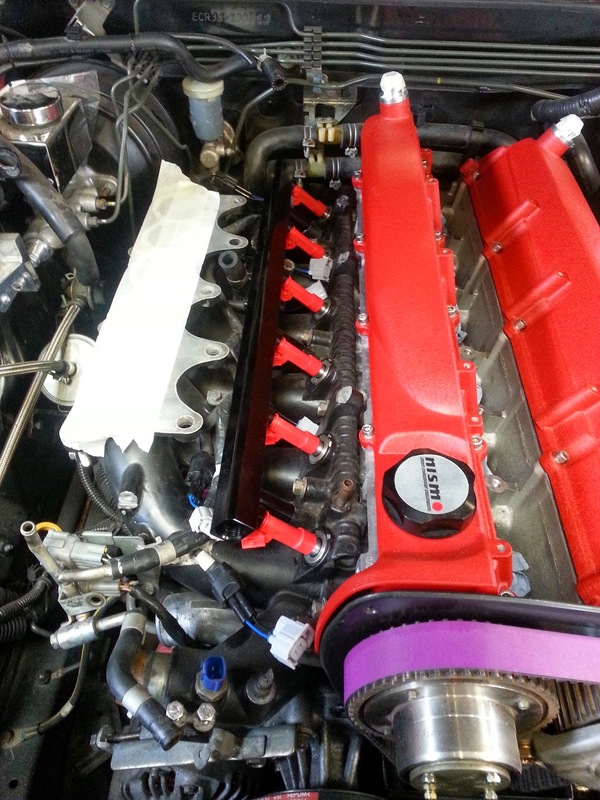 Fuel rail and fitted injectors! I am just happy that this block on progress has been lifted and we are back under way with the good stuff. I particularly like how the injectors match the rocker covers, its all in the detail for me! The lower inlet is actually from a Spec one R33 polished and then painted black. It is one of the few original parts that I polished and finished that will remain on the car, so it is amusing that it is also one of the oldest parts in the engine bay! There are a couple of connecting holes along the top of it for the spec one fuel rail (I assume), which when I painted the part I carefully masked and cleaned up after. Funny thing is that these have never been connected to anything.. I will do my best to ignore this bit of unfinished business! It's been a real learning process this one. But its getting there and the car should be back to a running condition by this Friday (at least that is the plan! ).